Finally taking a step toward protecting the privacy of reporting practitioners, the National Practitioner Data Bank (“NPDB”) has temporarily removed the Public Use Data File from its website. The NPDB is a federal resource provided by the Department of Health & Human Services (“HHS”) that is intended to be “a confidential information clearinghouse created by Congress to improve health care quality, protect the public, and reduce health care fraud and abuse in the U.S.” [FN1] Medical malpractice payers, state licensing agencies, certification authorities, hospitals, other health care entities that conduct formal peer review, professional societies, peer review organizations, private accreditation organizations, the Drug Enforcement Agency (“DEA”) and the HHS Office of Inspector General must report the payment of medical malpractice payments and any adverse actions taken against a reporting practitioner to the NPDB. [FN2] This means that medical malpractice payments and any adverse actions (against all licensed health care practitioners and entities) by state licensure boards, professional societies, certification authorities and the DEA (to name a few), as well as adverse clinical privileges actions, peer review negative actions, negative actions and findings by private accreditation organizations, Medicare and Medicaid exclusion actions and actions taken by the HHS OIG must be reported to the NPDB. Significant portions of these types of reports about practitioners, including physicians, nurses and a slew of other licensed health care providers, are considered “disclosable” by the NPDB. In March 1, 2010, the implementation of Section 1921 of the Social Security Act expanded the amount of data collected by the NPDB. Although the data reported to the NPDB may be released to the public, it must be released “in a form which does not permit the identification of any particular health care entity, physician, dentist, or other health care practitioner.” [FN3] Until recently, the NPDB published portions of the collected information in a “Public Use Data File,” which was updated four times per year. Despite the requisite confidentiality of a reported practitioner’s identification, practitioners’ names have been leaked by reporters who are – not surprisingly – able to use the NPDB’s Public Use Data Files in conjunction with other types of data to determine the practitioner’s identity. 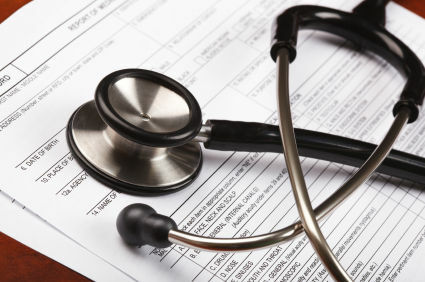 On September 14, 2011, in the ongoing battle over healthcare, Judge Christopher Conner from the Middle District of Pennsylvania ruled that the “individual mandate” of the Patient Health Care and Affordable Protection Act of 2010 is unconstitutional. Judge Connor’s decision occurred in the case of Goudy-Bachman et al v. Sebelius et al. (No. 10-00763). This lawsuit, requesting that the Act be overturned, was filed by a married couple from York County. The couple, Barbara Goudy-Bachman and Gregory Bachman alleged they dropped their health-care coverage because of the expense. They alleged that their health-care coverage was more than their monthly mortgage payments. The couple, who operate a bait-and-tackle and marine engine-repair shop, said they had limited use for health insurance and preferred to pay for their health care out of pocket.